"Today is the first event in a series of upcoming Quicker Picker Upper activities for Bounty leading up to the Rio 2016 Olympic Games"
CINCINNATI--(BUSINESS WIRE)--This spring, Bounty – the Quicker Picker Upper and sponsor of the Rio 2016 Olympic Games – is teaming up with one of the quickest women in the world, Track and Field Olympic Sprinter and Gold Medalist Allyson Felix. Bounty and Allyson will be inviting people to join Bounty’s Team Quicker Picker Upper online and at local events around the country to share their tips and tricks for picking up spills and messes in world record time. Kicking off today in New York City, Bounty will be hosting the Quicker Picker Upper games at McBurney YMCA-125 (W 14th St, New York, NY 10011) where they will provide attendees the chance to virtually compete against Allyson via green screen. Participants can also try to beat the clock and partake in track-themed activities related to messes and spills. Additional local Quicker Picker Upper games outside of New York City will also be announced closer to summer. 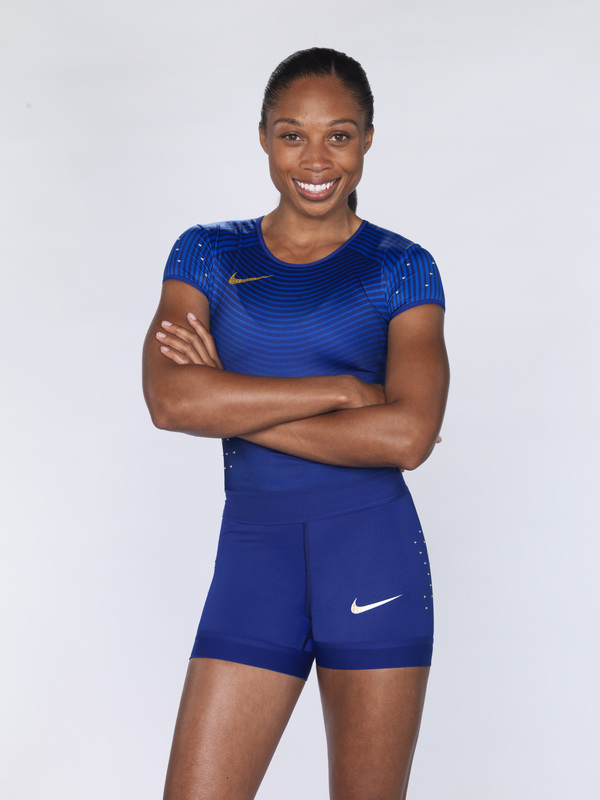 “I’m thrilled to be partnering with Bounty during the Olympic Games season as it’s a product I use in my life every single day and I couldn’t live without it,” said Allyson Felix, Olympic Gold Medalist. “While I’m quick on the track, I’ve got to be super speedy at home too! I’m always a fan of products that can help me do things better and Bounty helps me pick up messes in record time,” Felix added. Additionally, Bounty is asking people to share their best quicker picker upper tips showcasing how Bounty helps them beat the clock when it comes to cleaning up spills and messes. People can send tips to @Bounty using #quicktip and #promotion beginning today, April 28. Bounty will donate $1 for every #quicktip tweet to Community Olympic Development Programs, which helps progressing athletes from the beginning stages of development to the elite level*. 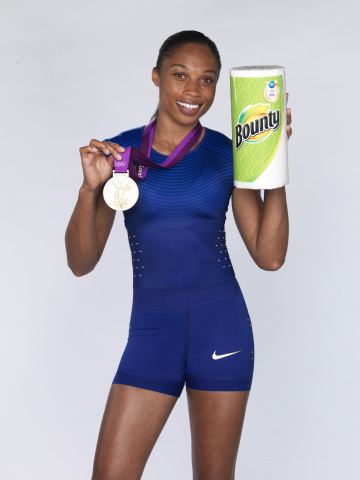 “Allyson exemplifies what it means to be quick and we couldn’t think of a more perfect partner for Bounty, the Quicker Picker Upper,” said Matt Barresi, Bounty Brand Director. 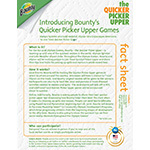 “Today is the first event in a series of upcoming Quicker Picker Upper activities for Bounty leading up to the Rio 2016 Olympic Games,” he added. People across the country can learn more by visiting Facebook.com/Bounty or following us on Twitter at Twitter.com/Bounty to read about participating in the Quicker Picker Upper Games online, locate upcoming local events and stay up-to-date on Bounty’s Sponsorship of the Rio 2016 Olympic Games. *Bounty will donate $1 for every #quicktip and #promotion tweet to Community Olympic Development Programs up to $10,000. Bounty has been America’s most popular paper towel for more than 30 years. In the U.S., P&G offers the following premium two-ply paper towel products: Bounty Select-a-Size; Bounty White; Bounty Extra Soft; and Bounty Fun Prints. Additionally, P&G offers Bounty Basic, a quality one-ply paper towel as well Bounty Quilted Napkins. For more information on Bounty, visit www.facebook.com/bounty. P&G brands are committed to giving moms the best, each and every day. Not just moms of Olympians, but all moms, all around the world. As a Worldwide Olympic Partner, when P&G brands like Tide, Gillette, Bounty and Pampers partner with athletes on their Olympic Games journey, P&G also recognizes the mom who supported them every step of the way. For the Rio 2016 Olympic Games, 18 P&G brands in more than 35 countries will activate the Company’s Olympic Games campaign through TV and digital content, in-store displays, public relations and social media.